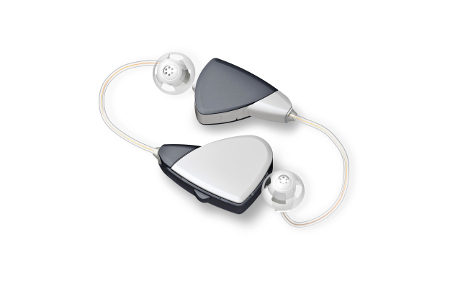 Hearing aids can be quite the obtrusive device for those of you who are conscious about how people will perceive you, as it hangs around your ear. While technological advances have come a long way to make hearing aids more discrete, they aren’t quite invisible yet for the average model. Apart from that, we also have headphones which tend to be bulky, although using a pair at home shouldn’t be too much of a fashion faux pas as nobody but the kids are there to poke fun at you. Why not silence them with the Beltone True? This is a new generation of virtually invisible hearing instruments which will wirelessly receive sound directly from TV, cell/home phone, stereo, PC, iPod or any audio device via a 2.4 GHz signal. The True works by enabling hearing-impaired users to comfortably converse with those nearby while retaining the ability to listen to music or watching their favorite TV program. Hmmm, doing both at once might not be recommended since you might lose your train of thought and be considered as having senility creeping in, but otherwise the True will be able to deliver excellent sound quality while doing away completely the embarrassing high-pitched whistling of hearing aids of old. Since it works differently from other wireless hearing instrument products in the market, it will not require you to wear a relay device around your neck that could end up being more cumbersome than imagined. Beltone True’s wireless innovation comes in the form of its new integrated circuit. It is twice as fast and holds quadruple the memory, where it allows the circuit to make wireless connections to other devices without any audible delay. A remote control lets you adjust each hearing aid’s volume independently, alongside its sound quality. Features include Direct TV Link, Direct Phone Link, Feedback Eraser and Speech Spotter Pro to get you started right out of the box.